Ecobirder: First Butterflies of the Year. Last week I saw my first butterflies of 2015. The timing is not much of a surprise. We usually start seeing butterflies as early as late March. What surprised me was the species. Typically my first butterfly of the year is either a mourning cloak or a comma. That is because both of these species overwinter as adult butterflies. As soon as it warms up they thaw out and begin to fly. The cabbage white overwinters as a chrysalis. They typically have three broods per year with the last brood overwintering in the pupae state. When it warms up they emerge and look for a partner to mate with. 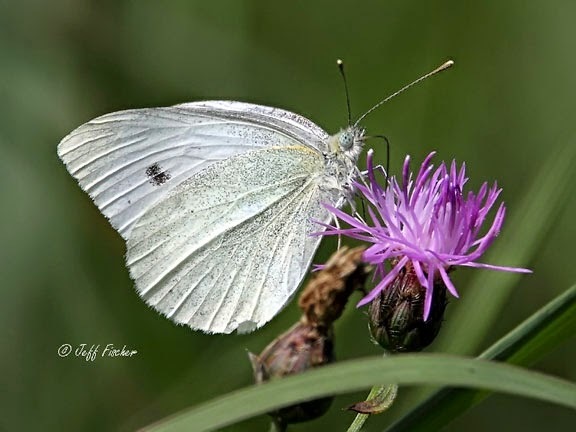 Cabbage whites are a non native species here in North America. They were introduced to North America in the 1860's and have done very well for themselves. 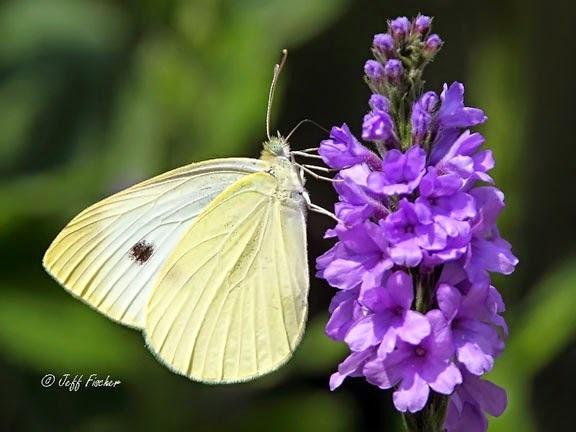 They are common in Europe, North Africa, and Asia where they are also called the large white. They are common here in the U.S. now, also. They are so common that when I first saw them I almost ignored them until I realized that they were my first butterfly of the year. Unfortunately I was on a walk during my lunch break at work and did not have a camera so no pics. The pics in this post were taken in the past during the middle of summer when thing are much more green and blooming then they are right now. Two geat macro shots o the butterflies.